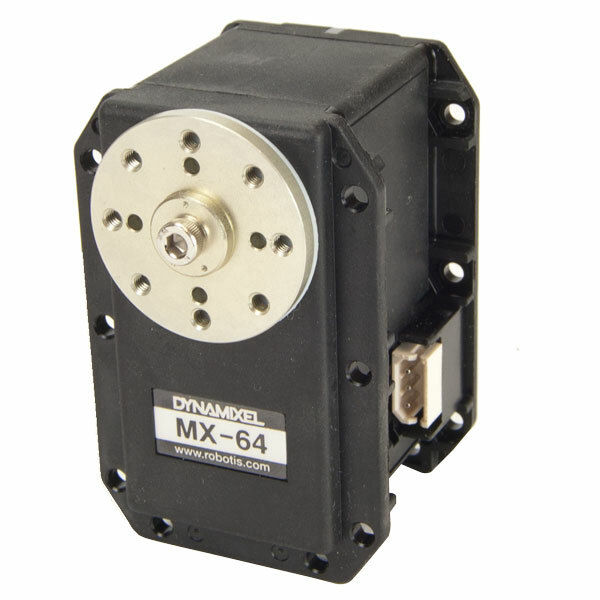 A rugged design and 14cm diameter ball bearing rotational base ensures maximum rigidity and accuracy. 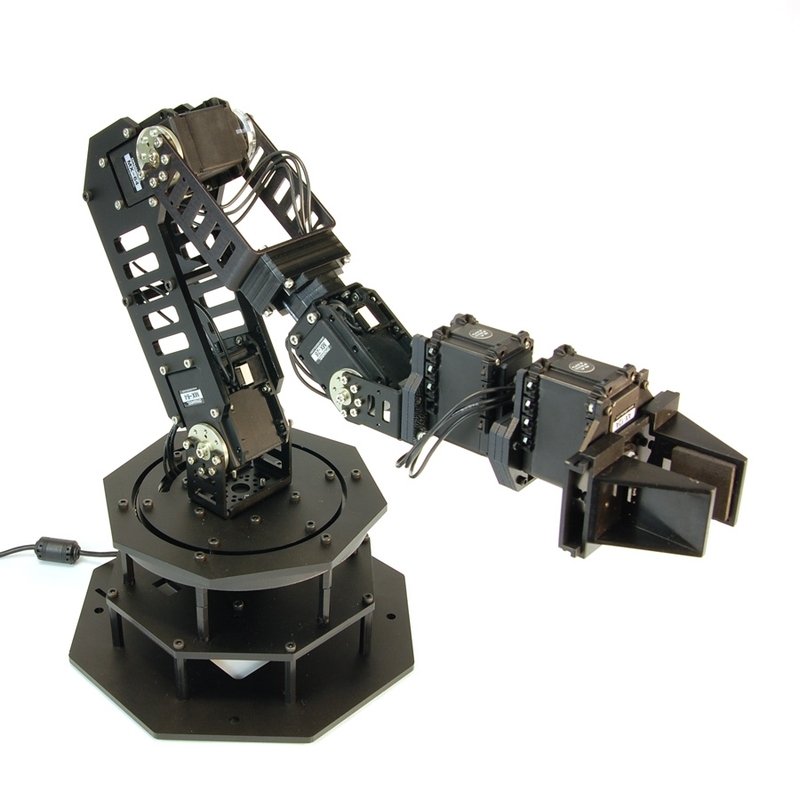 Optional wrist rotate allows for up to 5 degrees of freedom, along with a custom designed parallel gripper for high precision and maximum gripping strength. 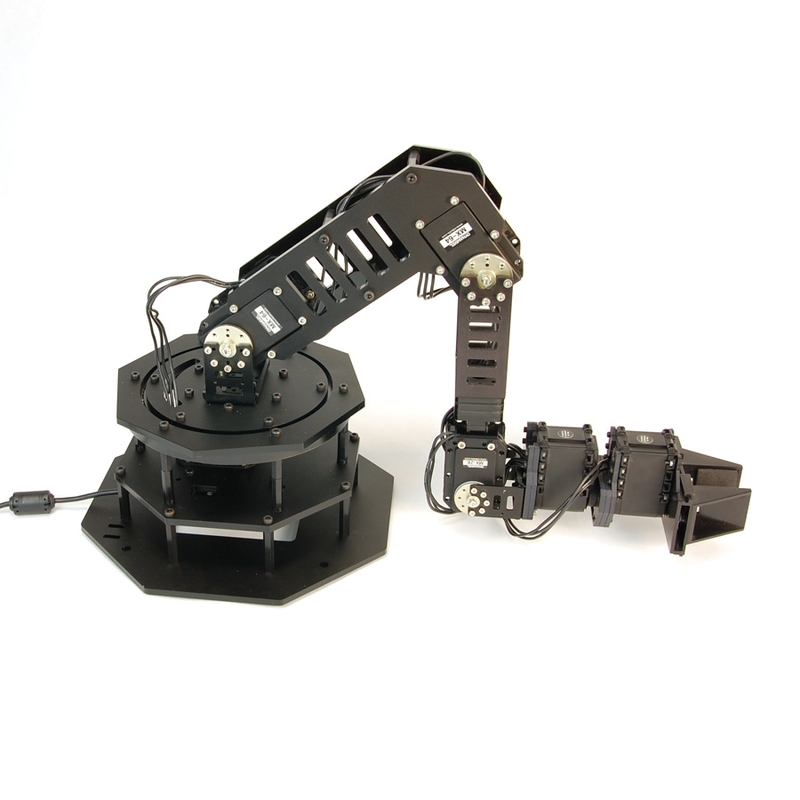 You will need to sand your gripper for smooth operation, more details available in the assembly guide. 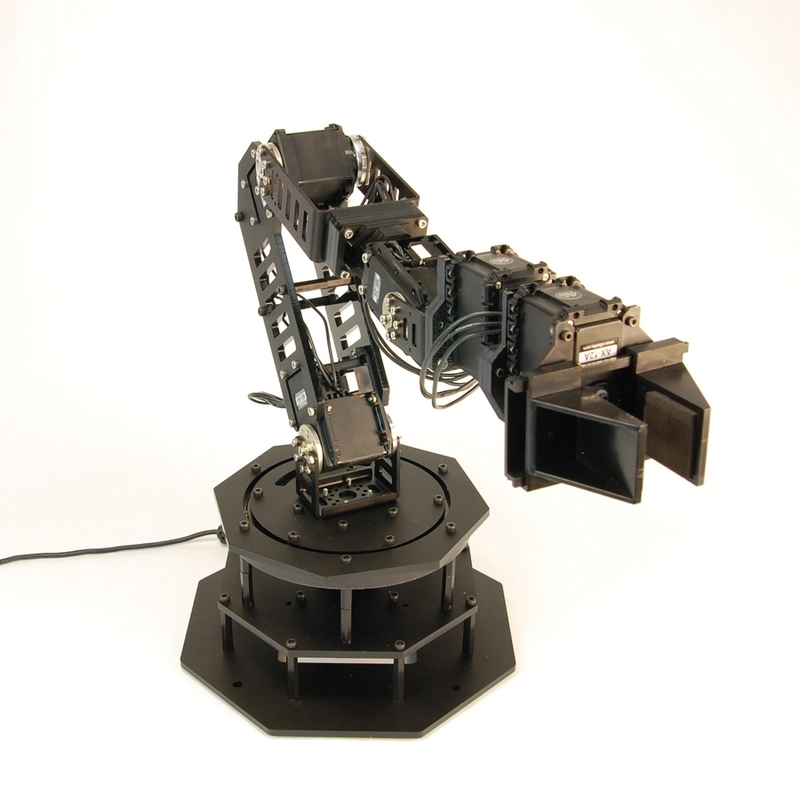 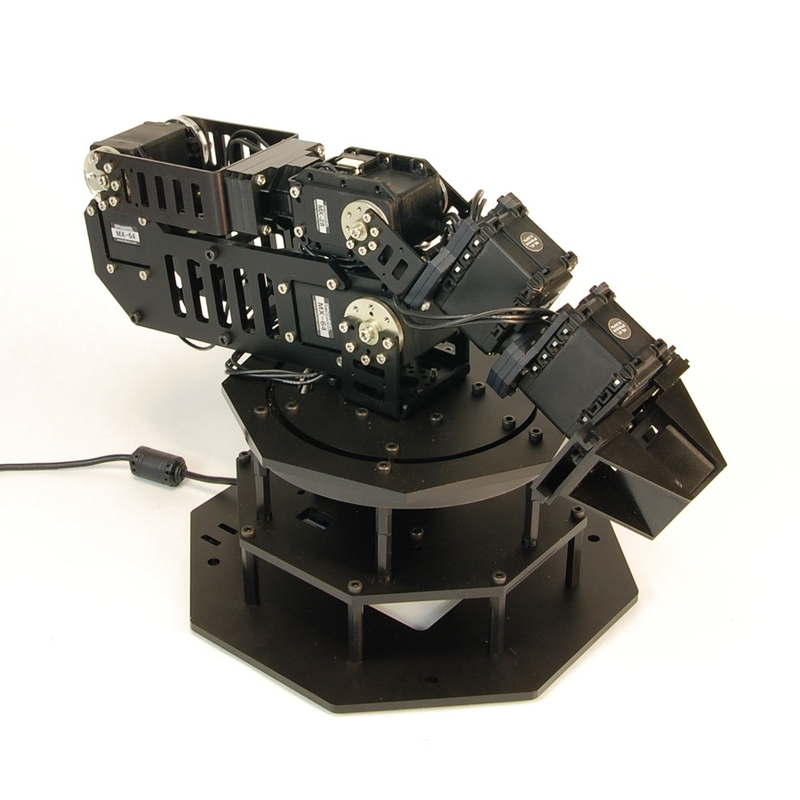 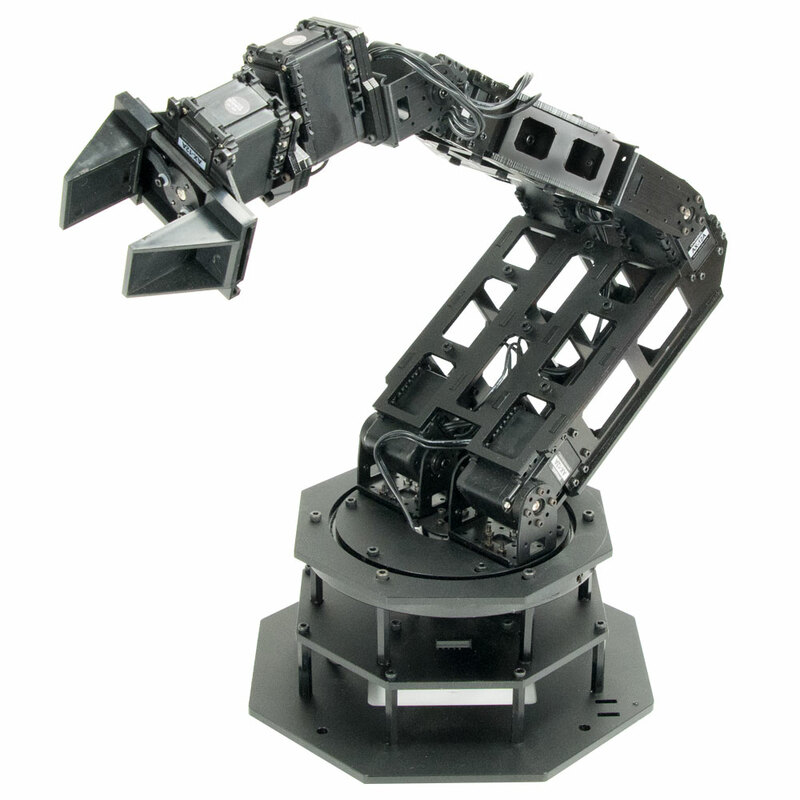 The WidowX Robot Arm has up to a 41cm horizontal reach and 55cm of vertical reach. 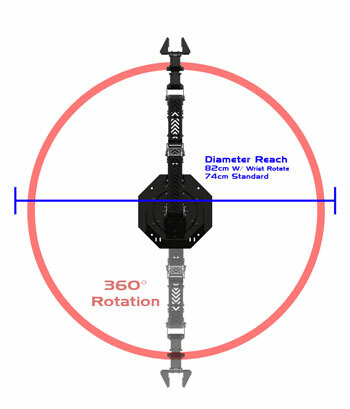 At a 10cm reach it can lift up to 800g, and at 30cm up to 400g. 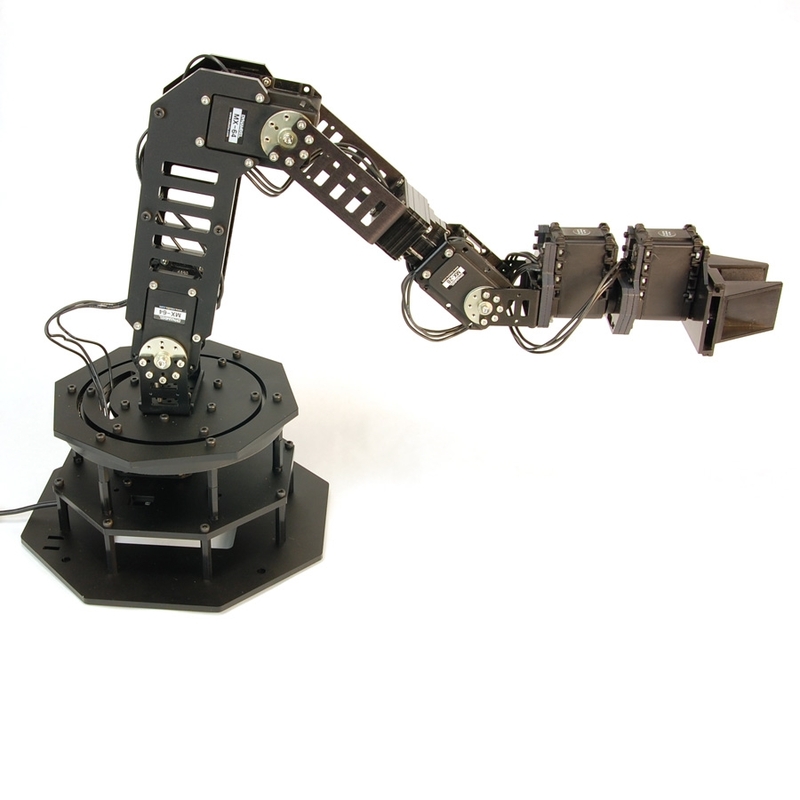 The gripper itself has a rated holding strength of up to 500g, while the wrist itself can lift up to 500g horizontally. 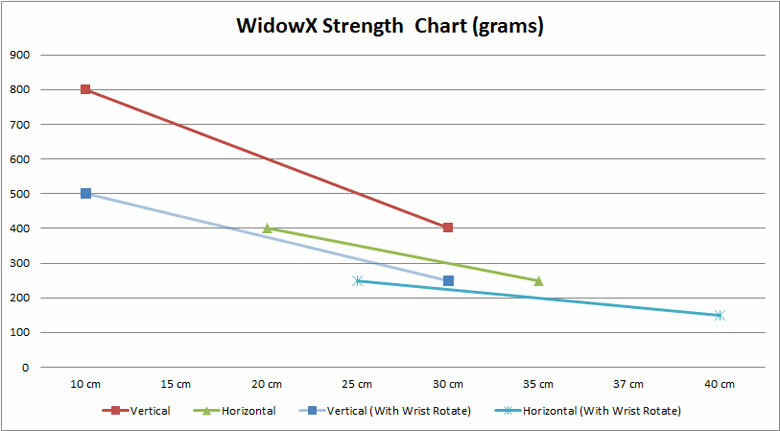 (400g if using wrist rotate).